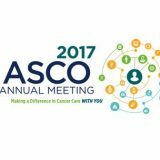 Paris, France, May 24, 2017 – Invectys SA will attend to the American Society of Clinical Oncology (ASCO) in Chicago, USA. ASCO gathers more than 30.000 oncologist and scientist specialists. Invectys SA will present to the worldwide oncology community the results of its INVAC-1 therapeutic vaccine phase I clinical trial. Luis Teixeira, MD PhD, at the Medical Oncology Dept. of the Parisian Saint-Louis Hospital, in the presence of Pierre Langlade-Demoyen MD PhD, CEO and co-founder of Invectys, will present on June 5 in Hall A, a talk entitled: “Results of a first-in-human phase I study of INVAC-1, an optimized plasmid DNA encoding an inactive form of human telomerase reverse transcriptase (hTERT), in patients with advanced solid tumors”. This INVAC-1 therapeutic vaccine phase I trial treating highly advanced cancer stage patients was performed at two prestigious clinical investigational centers in Paris, notably at the Saint Louis and Georges Pompidou Hospitals. The phase I trial was aimed at evaluating toxicity, safety, tolerance and immune response to INVAC-1 in cancer patients. Secondary endpoints aimed to show initial anti-cancer vaccine efficacy by assessing antitumor responses and progression-free survival. Relevant scientific data on INVAC-1 have been shown by May 2017 at the 3rd International Symposium on Immunotherapy, organized in London by the Institute for Cancer Vaccines & Immunotherapy (former Cancer Vaccine Institute). The presentation performed by Invectys’ team and titled “Anticancer DNA vaccine based on human telomerase reverse transcriptase generates a strong and specific T cell immune response” provided significant data on animal models about INVAC-1 antitumor efficacy in combination with existing chemotherapy. These data received a very positive impact on behalf of the clinicians and scientists attending. Founded in 2010 at the Paris-based Pasteur Institute, Invectys SA, is a biopharmaceutical company focused on the development of innovative immuno-oncology treatments. The company has developed a broad pipeline including one platform designed to provide low cost easy-to-administer cancer therapies, alone or in combination with other treatments as immune checkpoints antibodies. Our products aim to enlisting and restoring natural antitumor efficacy from cancer patients.